Many patients who have lost massive amounts of weight come to the office inquiring about panniculectomy. They have been told by their friends or by other physicians that it is an equivalent operation to tummy tuck (abdominoplasty). Panniculectomy does have some pleasing effects, but it is not the same thing as an abdominoplasty. With a tummy tuck, the excessive skin of the abdominal wall is removed, the belly button is reshaped, and the abdominal wall is tightened extensively. Oftentimes, liposuction is also performed with this to help provide the patient with a narrower waistline and a more pleasing figure. Panniculectomy is a functional operation. Specifically, excessive skin located below the belly button is removed as a wedge resection. There is no significant undermining of the skin above the belly button, so patients are still left with a significant amount of redundant skin after this operation. In addition, the belly button is not reshaped, the abdominal wall is not re-tightened, and no liposuction is performed. Both operations have significant uses, and there is a place for both, but it is important that patients understand the key differences between these procedures. 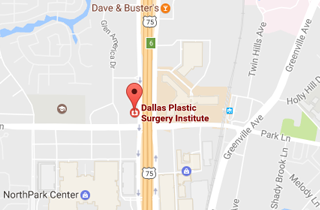 Should you have any questions about body contouring procedures, contact Dr. Jejurikar at 214-827-2814.